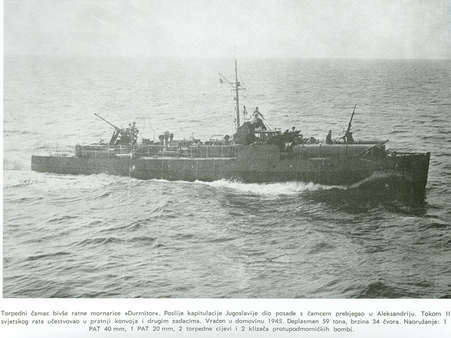 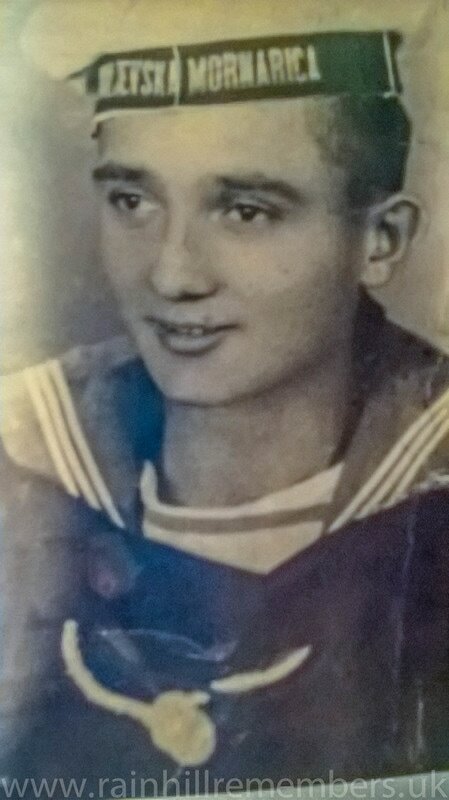 ​In May 2016, Rainhill Civic Society received an email from Ivana Mihailovic in Serbia asking if we could help to trace her grandfather Alexander Nincic who served on torpedo ship Durmitor (see below) in the Yugoslavian Navy during WW2. 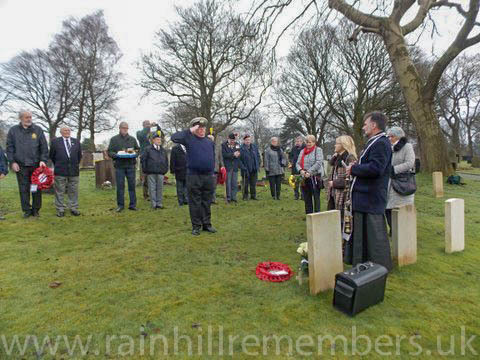 He was wounded and eventually ended up in Rainhill Hospital where he died aged 22. 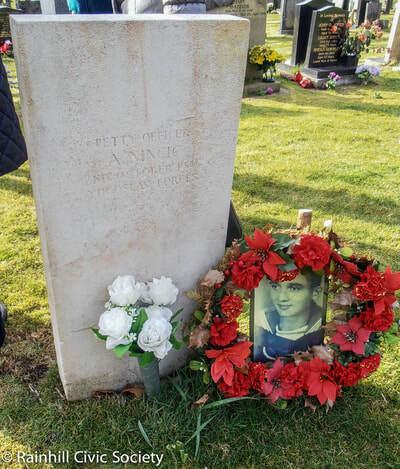 The family had no further information as to what happened to Alexander’s body. 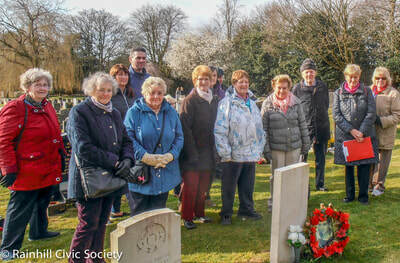 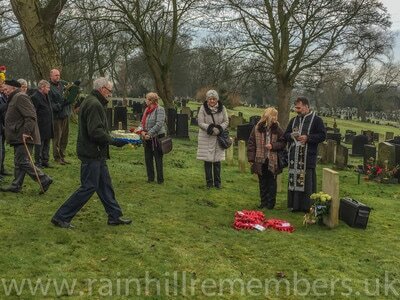 Following discussions with St Helens Rolls of Honour and Friends of St Helens Cemetery, Rainhill Civic Society were able to inform Ivana and her family that Alexander’s grave had been located in St Helens Cemetery and pictures of the headstone with poppies were sent to them. 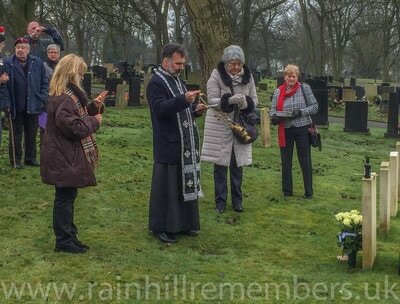 Ivana’s family were overwhelmed that their search was over and by the kindness of everyone involved in finding and tending to Alexander’s grave. 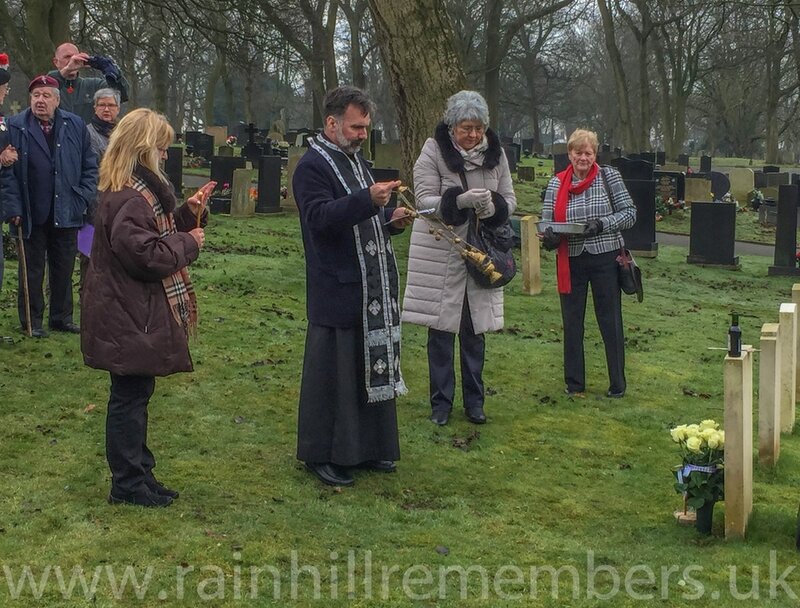 Lots of emails have been exchanged since then, finally culminating in Ivana and her cousin Dubravka visiting the grave on Monday 6th February 2017 where a Serbian priest conducted a service. 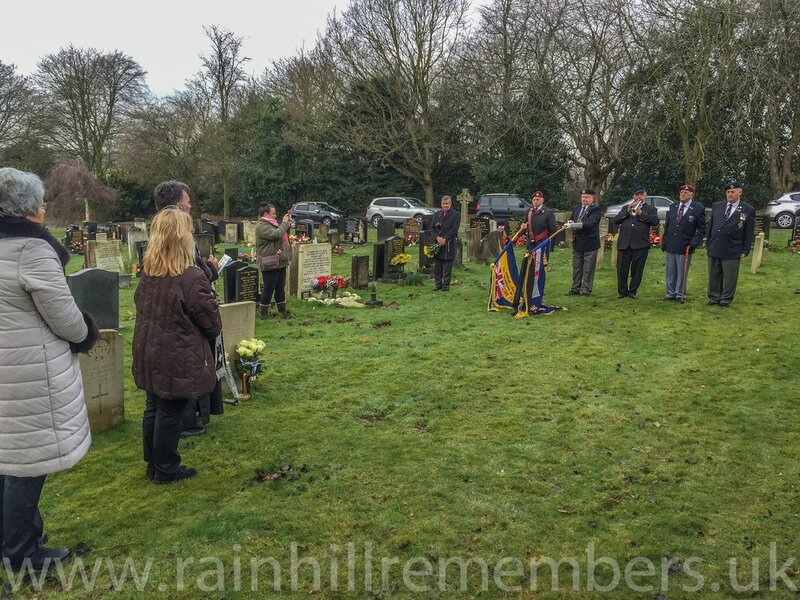 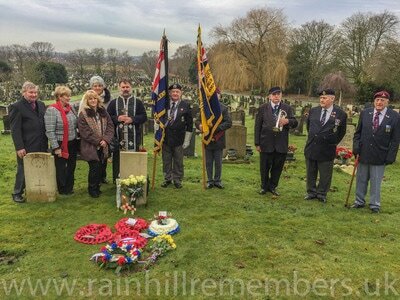 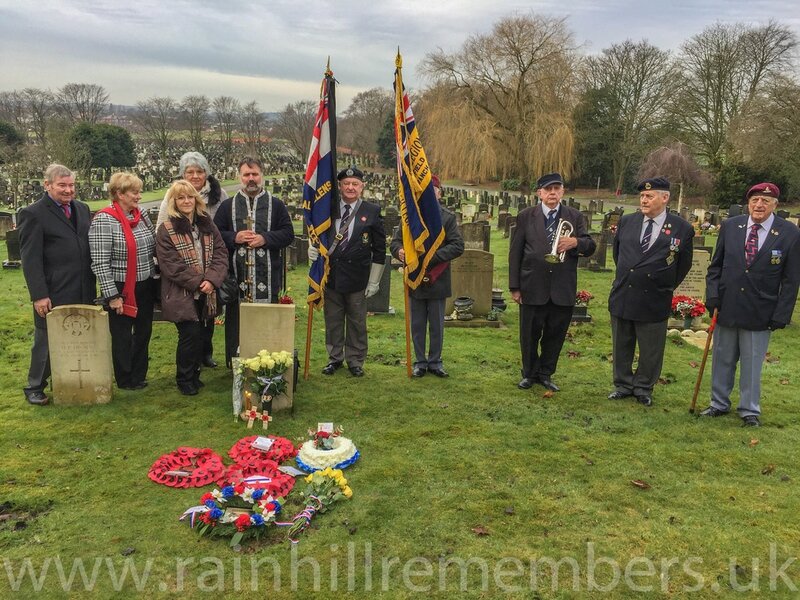 Representatives of the Royal Naval Association, the Royal British Legion, Friends of St Helens Cemetery, St Helens Rolls of Honour and Rainhill Civic Society were also in attendance and wreaths were laid. 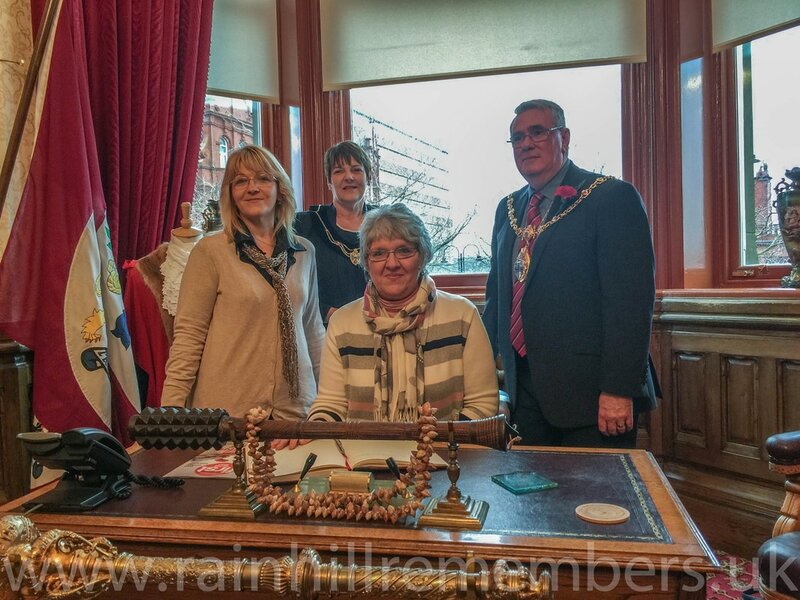 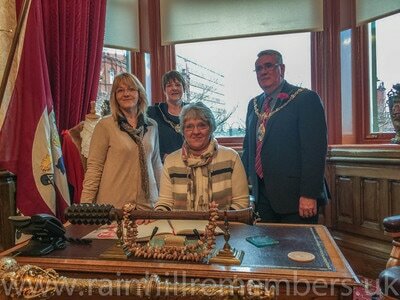 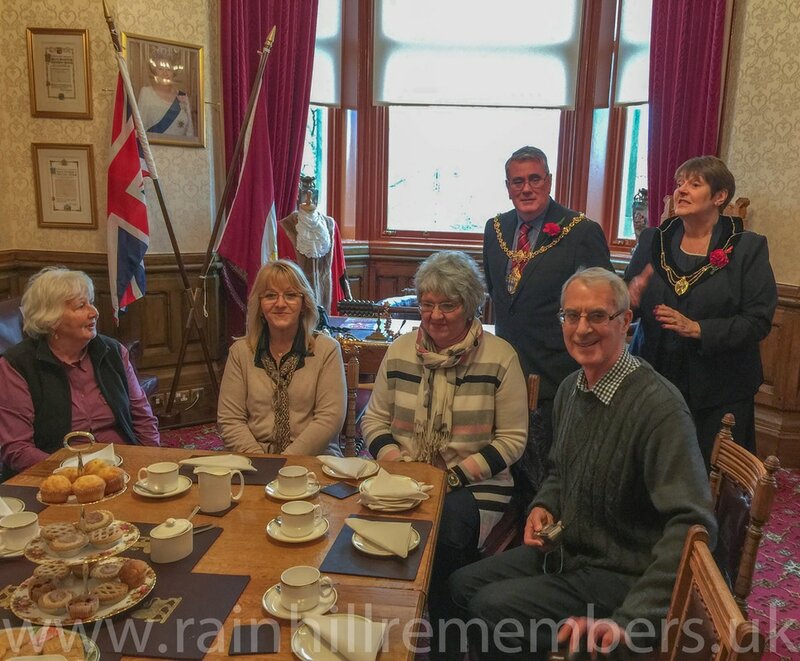 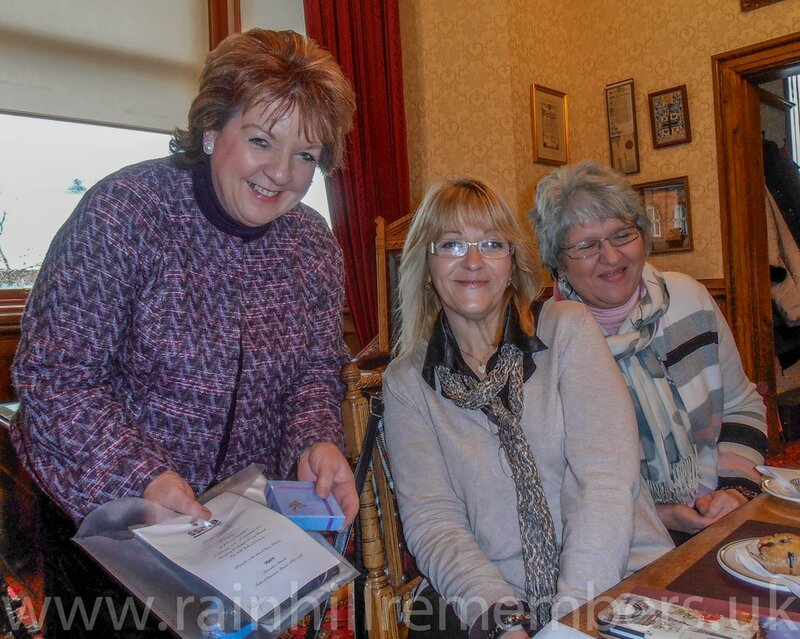 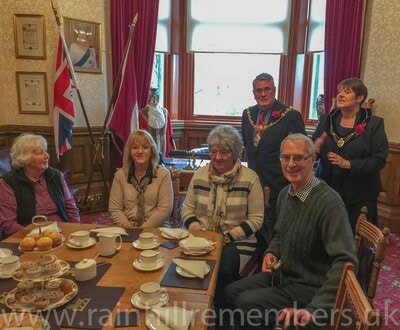 Following the service at the Cemetery, a civic reception was held in the Mayor’s Parlour of St Helens Town Hall where Rainhill Civic Society presented Ivana with a framed photograph of her Grandfather's Torpedo Boat, a selection of photos of Rainhill Hospital and gifts from the Armed Forces charity SAFFA. Ivana and Dubravka are now going to back to Serbia first to see Alexander's sister and then the rest of the family to tell them all about their trip. 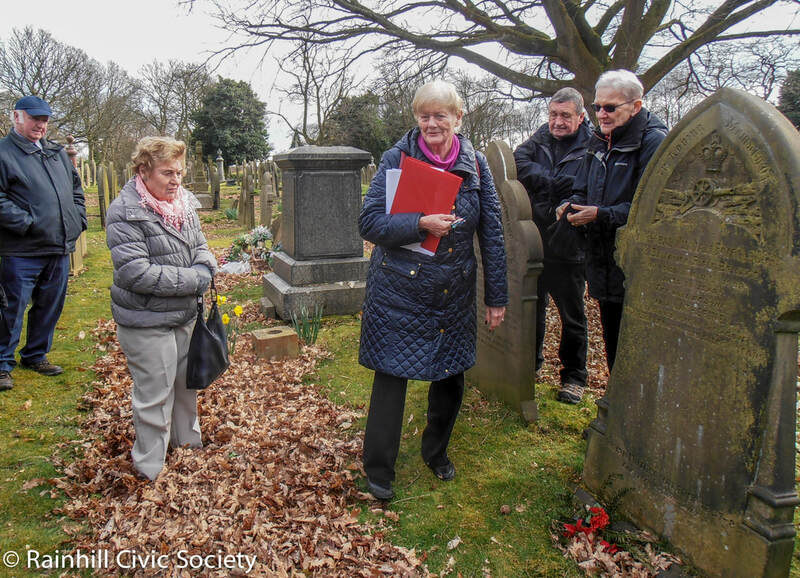 On 24th March 2018, Marlene Downey (with clipboard) from the Friends of St Helens Cemetery gave Members of Rainhill Civic Society a very interesting guided tour of the Cemetery and a return visit was made to Alexsander's grave.